“You know they worked well together- Morgan Drexen and the law firm so that I didn’t really have to worry much about it. They were excellent in taking care of everything,” adds Ehrhardt. As America’s debt continues to rise credit card companies are targeting 20 and 30 year-olds with new attractive credit card offers. Morgan Drexen says young consumers beware and advises that students consider financial literacy courses to survive debt free. ‘Zync’ is the latest in a long line of credit cards aimed to attract a younger clientele. The American Express offspring promises double rewards on purchases and a chance to create your own credit package. The new card comes with a varying annual fee dependent on your package options. Former student Stephanie Ehrhardt says the instant gratification of spending is not worth the long-term debt. For Ehrhardt, debt ruined her dreams of becoming a chef. Campus credit card solicitations were just too tempting an offer for a struggling student to pass up. “When I was going to school there was you know, get a free T-Shirt just sign up for a credit card and so I did it,” admits Ehrhardt. She found herself being able to only afford the minimum payments and with rising interest rates the debt grew to just under $15,000. The interest rates finally forced Ehrhardt to leave school. “Eventually once I realized how much I had accumulated, it was time to just quit school because I couldn’t go on. Sometimes you just have to stop going to school so that you can concentrate on trying to pay off your debt,” says Ehrhardt. Ehrhardt engaged with an attorney-based debt resolution program supported by Morgan Drexen to reduce her debt. Starting a career with a bad credit score just wasn’t an option. Morgan Drexen uses complex automation to support attorneys across the nation in supporting consumers with high debt. The automated documentation allows for confidentiality and effectiveness. “You know they worked well together-- Morgan Drexen and the law firm so that I didn’t really have to worry much about it. They were excellent in taking care of everything,” adds Ehrhardt. 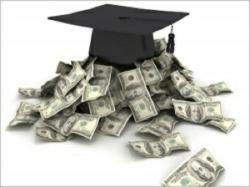 Many students in the United States believe that borrowing for college is the key to finally obtaining a great salary. However millions of students are realizing that they need to be cautious through their student years. Figures provided by the New York Times last year suggested that the average graduate now leaves college with a $24,000 debt. FreeScore.com revealed in a recent study that 27% of college students had personal finance course offered to them while they were in high school. 85% of students thought such a course would be beneficial. Morgan Drexen supported attorneys believe that financial literacy and education at a young age could prevent students falling into the debt trap.